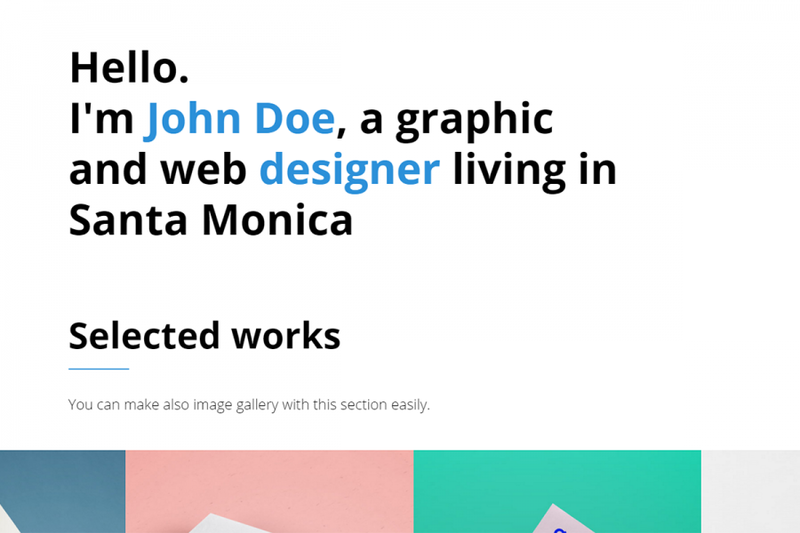 Designer is clean and elegant portfolio theme for web designers, programmers, creatives, etc. It is fully responsive, based on the latest Bootstrap 3.3.6. This portfolio template is easy to modify and customize and is being shipped with 6 colour versions: blue, pink, red, violet, green and sea blue.